Why Should You Choose KidsEmail? We don't offer any advertising on our site! So your child will never see anything inappropriate. 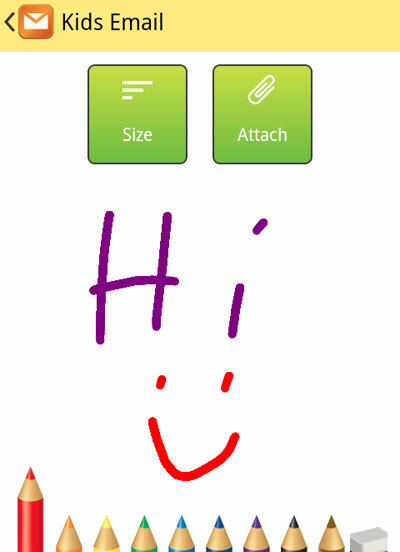 Your child can create their own custom mail folder to organize received email. This is a simple setting that can be enabled/disabled if desired. Only allow specific attachment types such as: images, pictures, video, mp3s, zip, pdf, Word, Excel, Power Point, etc. Filter out all offensive words found in incoming emails. Kids can modify the look and feel of their account by choosing from several fun templates. Logs when your child logs in and when they attempted to login during a restricted time. KidsEmail has a read it feature available that helps children develop their reading skills. 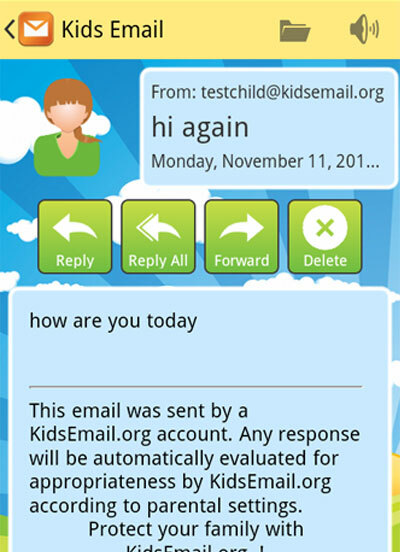 Children can easily select "read it" on an incoming message which will then read the email out loud to the child. Kids can have fun and improve their confidence while learning to read their email on their own. KidsEmail can grow with your child, they can start with an e-mail address @kidsemail.org and as they grow parents can change the settings for the child's email address to switch to @kmail.org with a separate login page for teens and older settings. This is a simple setting and easy to change! Kids love being able to keep their account and not be associated as a "kid" and parents love that their kids can keep their safe email account as their child grows older.